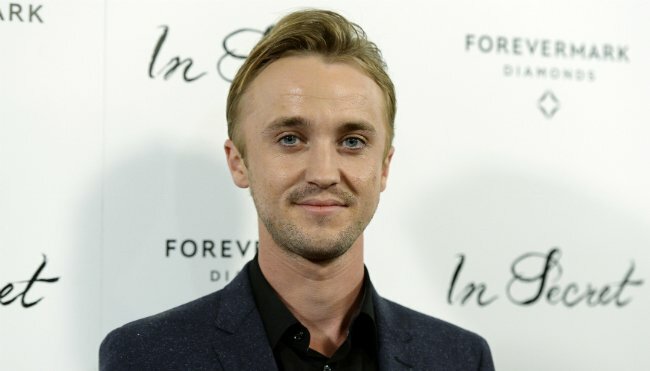 Harry Potter alum Tom Felton has joined The Flash season 3 in a recurring role, according to TVLine. Slated for a premiere on The CW on October 4, the outlet notes that Felton will make his debut early on in the new season, when the British star will be introduced as Julian Dorn, a “fellow CSI at the Central City Police Department who suspects there’s more to Barry Allen than just his good guy reputation.” No further details were disclosed at this time. Felton, who first broke to fame as the devious Draco Malfoy in Warner’s Harry Potter series, has filled his post-Hogwarts résumé with minor parts across both Full Circle and historical miniseries Labyrinth. Soon, he’ll be veering into the superhero genre. He’s picked quite the time to enter the fray, too, given that Grant Gustin and Co. are prepping to adapt the famed Flashpoint arc from DC Comics. That and much more will be discussed during Warner’s stacked Comic-Con schedule, with a “special video presentation and Q&A session” penciled in for Saturday, July 23. Expect to learn plenty more about parallel universe, doppelgängers and the like ahead of the show’s anticipated return later this year. Barry Allen returns as the Fastest Man Alive when The Flash season 3 airs via The CW on October 4.